>CUMBIA RADIO SHOW TONITE FROM 9PM! 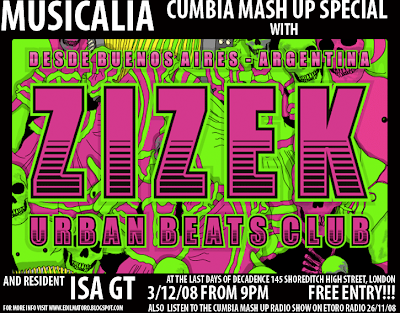 >MUSICALIA CUMBIA MASH UP RADIO SHOW THIS WEDNESDAY FROM 9PM ON ETORO RADIO! CHECK THIS BLOG FOR MORE INSTRUCTIONS ON HOW TO LISTEN TO THE RADIO SHOW ON WEDNESDAY! 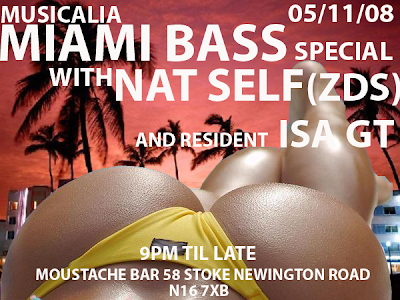 >MIAMI BASS RADIO SHOW FREE DOWNLOAD! The 1st Musicalia Radio Show! 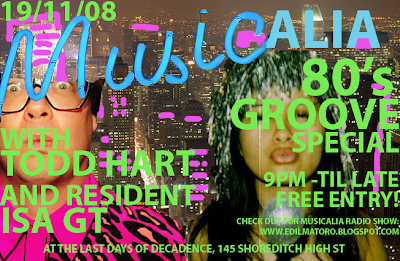 ALSO IF YOU HAVE 80’s GROOVE TRACKS YOU FEEL THAT DESERVE TO BE PLAYED, SEND THEM OVER TO US! USE THE DROPBOX ON THE RIGHT HAND SIDE OF THIS BLOG! >MUSICALIA RADIO SHOW THIS WEDNESDAY! Great tracks and a chat with legend Richie Hawtin! DON’T miss my MUSICALIA MIAMI BASS Radio Show this Wednesday 29th of Oct on ETORO RADIO! http://79.75.77.26:8000/listen.m3u. and for those who are, a teaser! So, the Miami Bass Special of Musicalia will be Wednesday 29th of October on ETORO RADIO http://79.75.30.216:8000/listen.m3u from 8-10pm. JUST BEFORE MY SET AT TRAILER TRASH! So.. my radio is transmitting as I’m writing this post! every time im on the air im gonna be posting it on this blog so keep your eyes peeled!